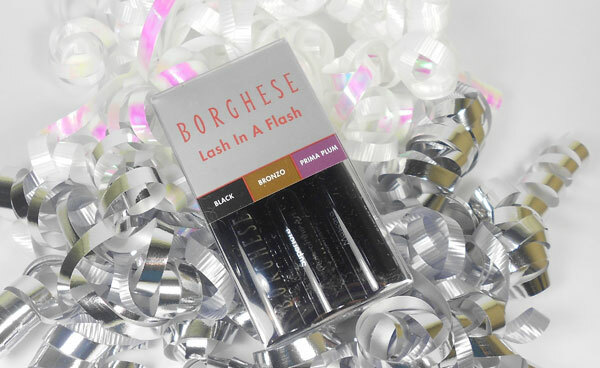 10th Birthday Giveaway: Borghese Lash in a Flash. Today, five winners will receive a mascara trio called Lash in a Flash from Borghese. Play up your lashes with Borghese's Lash in a Flash mini mascara coffret set. With three shades to choose from, you can pick a shade to match any look- Black for classic & chic, Bronzo for soft & natural or Plum for fun & flirty. Or mix & match to take your look from day to night. To enter to win the giveaway, please leave a comment through the "Post a Comment" link above, telling me the name of you favorite mascara. Rules: Winner(s) will receive prize specified above. You must be at least 13 years old to enter, and have a United States mailing address. Please, only one entry per email address. Multiple entries will be deleted and disqualify you. Please leave an email address where required (only we will see this and never share!) so that we can contact you. Giveaway entries must be received by 11:59 PM EST today. Winner(s) will be chosen and notified by email tomorrow and will have just 48 hours to respond or a new winner will be selected. Prize provided by brand. Congratulations to the following randomly selected winners: #2 Mags, #8 Kelley C., #31 Honour Rose, #43 Sandi Smith, #62 Barb. Winners have been emailed. Thank you to all those who entered.